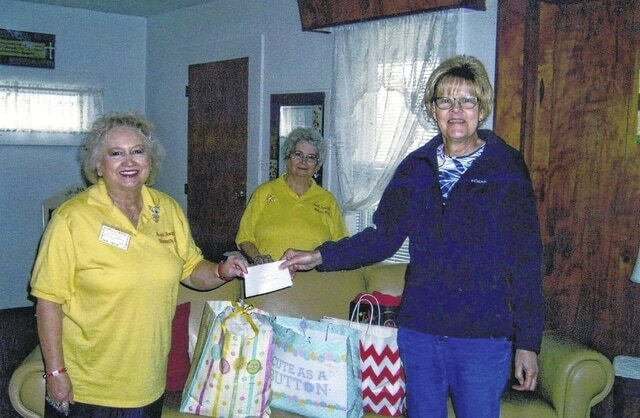 The Madison Mills United Methodist Church Outreach Program recently donated numerous baby items, items for women, and money to the Angel House in Wilmington. The church did a reverse advent and members added items each day during advent in December of 2016. On Christmas Eve, the church took an offering and donated it also. The church is pastored by Kim Wisecup, and Mr. and Mrs. Whitney delivered the items on Jan. 12. The Angel House, which is located at 782 Xenia Ave. in Wilmington, is a non-profit, all volunteer house operating solely on donations and fundraisers. The Angel House was established to house single, pregnant, homeless women who need a hand up and a place to learn everyday skills and family life. They can reside at the house for a period not to exceed a year (during pregnancy and up to three months after giving birth if needed). The Angel House does fundraisers during the year, and during the months of January through March, they are having rummage sales in the white building behind the house (on Ohio Avenue) every first and third Saturday. In April they will be holding an auction at the First Church of God on A Street in Wilmington. All of the items for sale are donated and they receive weekly donations to be sold at the rummage sales. They accept items that are gently used or new. For the auction, they will only accept new items, unless they are furniture and then they should be like new. To learn more about The Angel House, call (937) 283-7976 and leave a message if needed. If anyone would like to become a volunteer in the capacity of: house mother, mentor, media outreach, housekeeping or handy man, call for an interview. https://www.recordherald.com/wp-content/uploads/sites/27/2017/01/web1_img499.jpgThe Madison Mills United Methodist Church Outreach Program recently donated numerous baby items, items for women, and money to the Angel House in Wilmington.